7,088 others viewed this post. 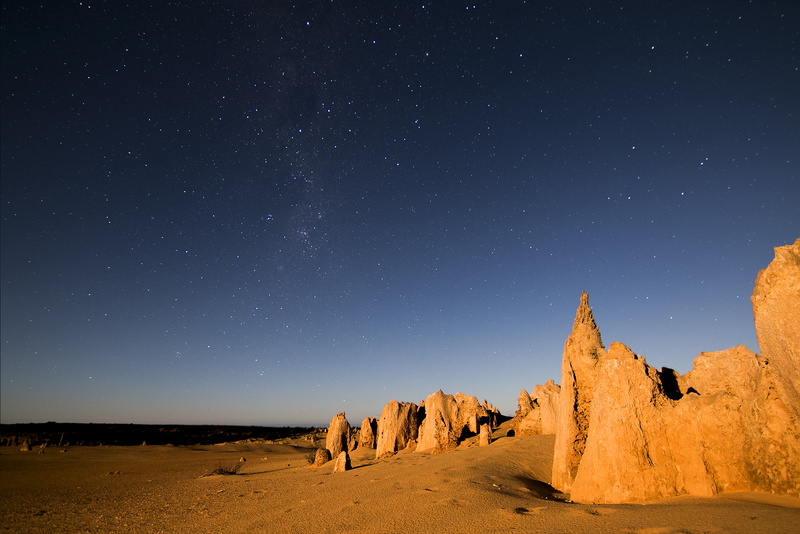 When the full moon rose over the Pinnacles Desert WA, the milky way retreated, no match for the rays of sunlight it shoots back at the earth. Low on the horizon, and bathed in gold, a moon rise is a lot like a sunrise or sunset, but dimmer. A long exposure reveals the familiar warm light of either, and long, strong shadows. I put the torch away.